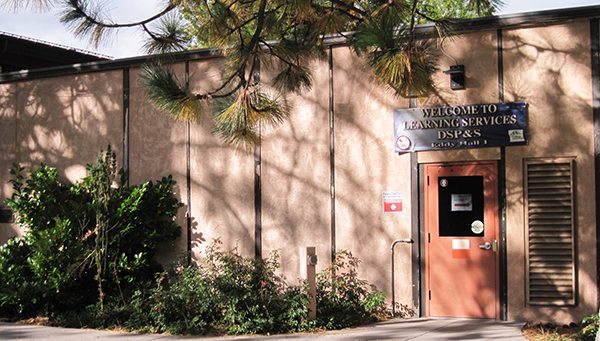 The Disabled Student Programs and Services (DSPS) Department is the campus office responsible for determining and providing required academic accommodations for students with disabilities. The DSPS program provides support services, specialized instruction, and educational accommodations to students with disabilities so that they can participate as fully and benefit as equitably from the college experiences as their non-disabled peers. Students with a limitation in locomotion or motor functions. Students with a total or partial loss of hearing function. Students with a level of vision that limits the student's ability to access the educational process. Students with an average to above-average intellectual ability who exhibit one or more deficits in processing. Students exhibiting below average intellectual functioning and potential for measurable achievement. A verified deficit in brain functioning which results in a total or partial loss of cognitive, communicative, motor, psycho-social and/or sensory-perceptual abilities. Students with a persistent deficit in attention and/or hyperactive and impulsive behavior that limits the student's ability to access the educational process. A neuro-developmental disorder that causes limitations in social, academic, occupational, or other important areas of current functioning. A persistent psychological or psychiatric disorder, emotional or mental disorder. This category includes all other verifiable disabilities and health-related limitations that adversely affect education performance but do not fall into any of the other categories. Other Challenges include: Conditions having limited strength, vitality, or alertness due to chronic or acute health problems. Some examples are: Epilepsy - Heart conditions - HIV/AIDS - Cancer. To get more detailed information about DSPS services or eligibility, contact the DSPS office. A website that includes a wealth of links to resources for students who are transitioning both into and out of college.